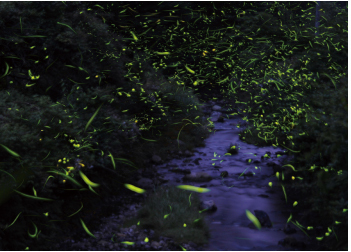 The fireflies in Okuyama Ravine is a part of charming sights of the season. You can see a mysterious view of fireflies lighting up the landscape. 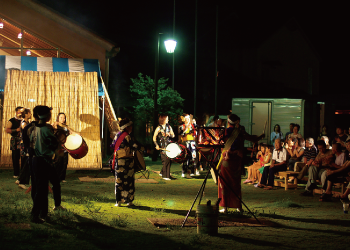 Towers are built around the open space at Otemae Park on the 14th & 15th of August each year, for everyone to dance to the tune of Matsuzaka Ondo. Japanese folk music is played and some groups are wearing fancy dresses to dance around the towers. 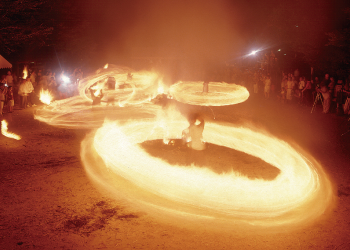 A bundle of straws are tied with straw ropes and swung around while burning. It is a strange festival meant to celebrate and wish for good health. It is held on the nearest Sunday around the 24th of August each year.